Convertible cars for all weathers are a challenge for any manufacturer; meeting the demands of security, weather protection and a feeling of safety alongside true open-air driving has resulted in some interesting solutions over the years. And the Volkswagen Eos, which set out to eliminate all the compromises. Hardtop coupe with an opening sunroof, or full convertible, it's all there in one package. 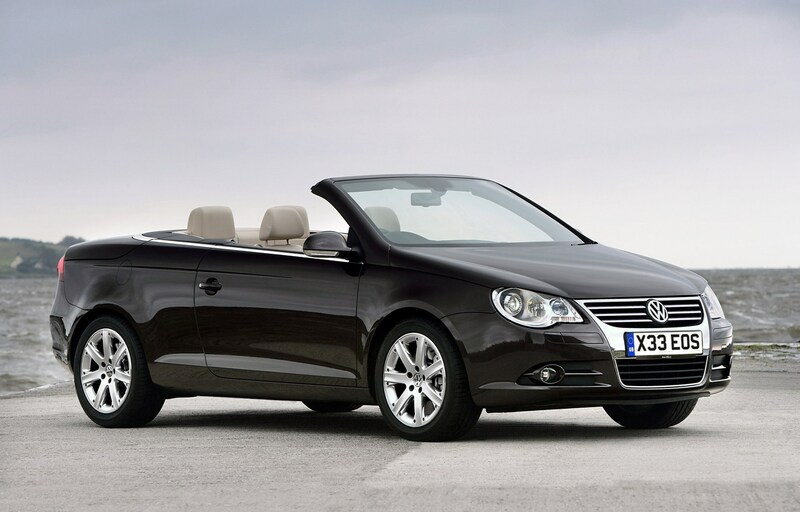 What is a Volkswagen Eos? 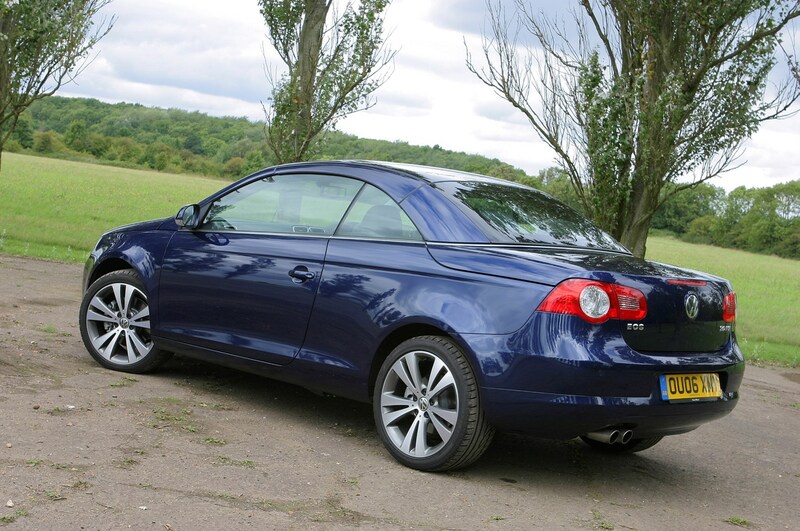 The Volkswagen Eos is a four-seater hardtop convertible, occupying the space vacated by the Mk III-based (and facelifted) Golf Cabriolet – though it could be argued that the New Beetle Cabriolet did a better job for those buyers. Launched in 2006, it owes a lot to the contemporary Golf and Jetta, but shares no body panels with them. Tempting buyers away from the mid-2000s crop of folding hardtop coupe/convertibles, the Eos added refinement and sophistication with an immensely complicated roof. Eos is the Greek Goddess of dawn; in 2005 it looked like a new age of premium Volkswagen was beginning. Why choose the Eos over another hardtop convertible? Flexibility, essentially. 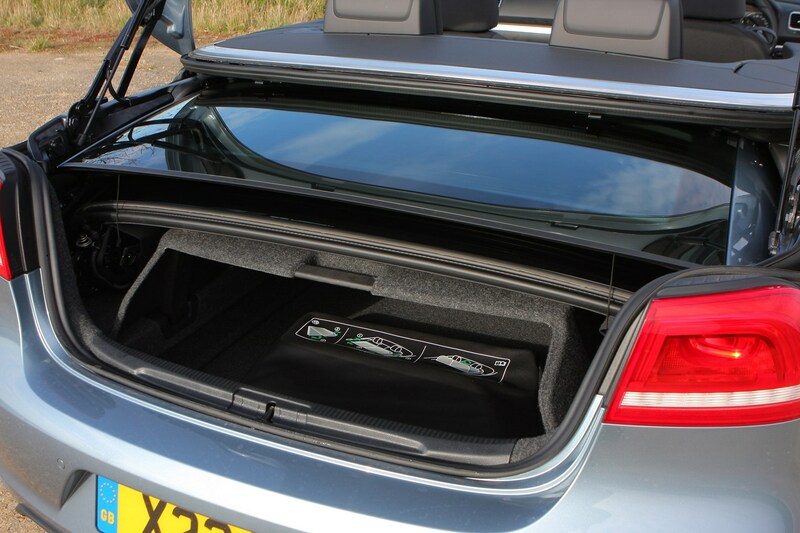 If you want a car that can meet all your open-air requirements, the Eos covers all the bases; a panoramic glass roof that opens like a large sunroof has most coupes beaten, let alone folding hardtops – and would probably be enough for most British drivers. Then the entire roof can fold in an electronically-choreographed ballet taking around 25 seconds. Room inside is impressive, too - as the clever design means more rear headroom, a more comfortable windscreen angle and a general feeling of space. The Eos is well made and affordable as a used car, so it has the edge over many rivals that are either painfully obscure (such as the Lexis IS250) or worryingly fragile (we're looking at you, Renault Megane). 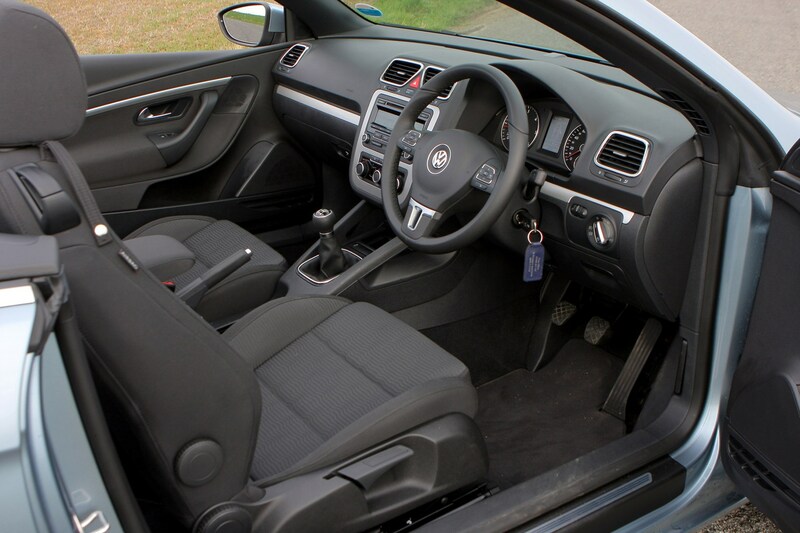 Inside, the Golf interior architecture is visible, but the styling is more upmarket. Under the bonnet, you'll find everything from a 140hp 2.0-litre TDI, or a 160hp 1.4-litre petrol, up to a 260hp 3.6-litre V6 petrol. As the Eos front-wheel drive platform is coping with the weight and innate loss of rigidity from a convertible, the V6 models have more appeal as a lazy, unstressed cruiser. In the Eos, the rear seat is strictly for two. Those lucky passengers enjoy class-leading legroom and space, and expansive headroom for a four-seater convertible, though, and if you've got older children this is a fantastic open-topped option. Enthusiastic drivers won't rate the Eos – it's too soft to deliver a Scirocco-rivalling drive – but for the majority of people there's enough feedback to feel involved and safe. How does the Eos roof work? 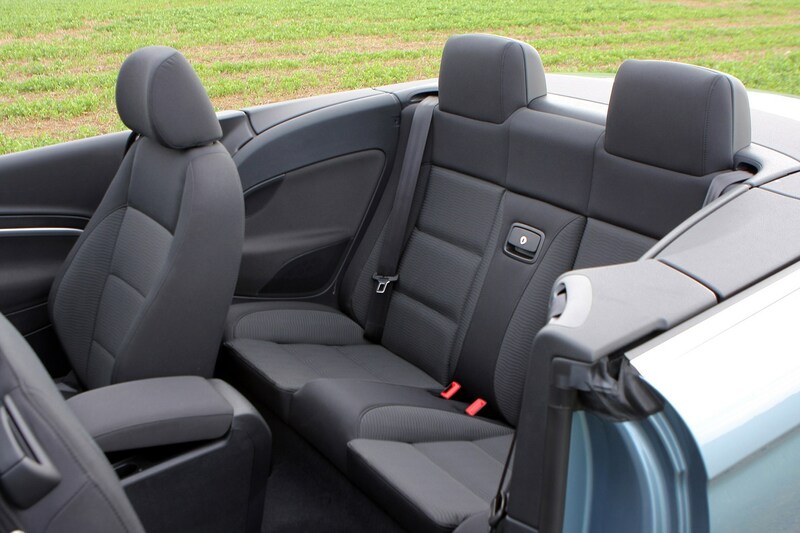 Designed by Webasto, the Volkswagen Eos uses a five-piece folding roof design that is considerably more sophisticated than the two piece setup of the pioneering SLK, or three-piece layout more commonly used afterwards. 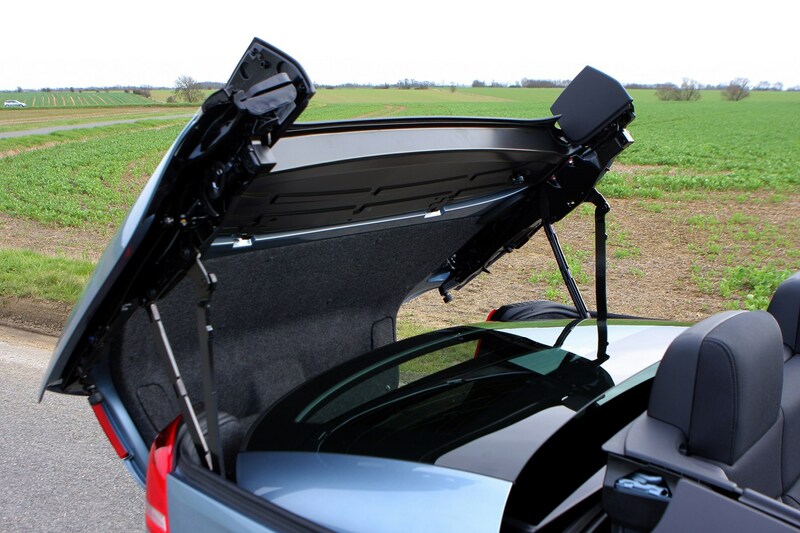 Marketed as a unique feature, the sliding panoramic sunroof element is an inherent part of the design, allowing the roomy cabin with headroom for four adults to fold into a relatively short shared trunk. How does it achieve this trick? Where most cabriolets link the left and right sides of the roof where they meet the windscreen, the Eos – like the MINI Convertible – supports them independently and the bulk of the roof can be slid backwards. The cant rails (the bit above the doors) can then be slotted into the space beside the rear passengers, shortening the overall package to be stored. This does create a tall, stacked bundle to be stowed behind the rear seats, so the Eos has more of a wedge shape than the oddly elongated back of the Focus CC, Megane Cabriolet and Volvo C70. 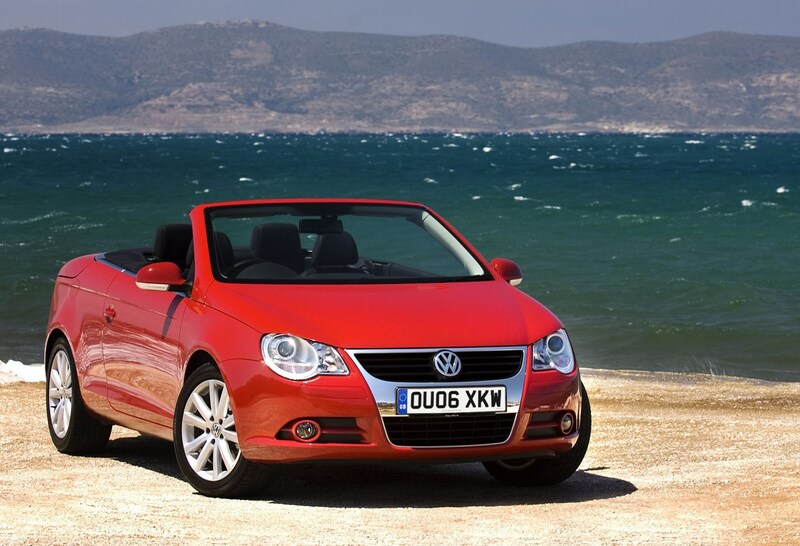 What should I consider when buying a used Volkswagen Eos? Although lower-cost examples are out there in the trade – and we've seen a few lurking neglected in the corners of bargain-basement dealers – the complexity of the roof could soon eradicate the savings made. Unless you're in the mood for making some new friends on the owners' forums, look for well-prepared and historied examples, and consider purchasing a used-car warranty with cover for the roof system. The Eos was facelifted in 2011, with a more aggressive fascia blending elements of Passat and Golf design. You can still make friends on the forums, too – it's a great place to find cared-for examples and to look for inside information from owners faced with insurmountable/expensive issues before selling their car. The sun set on Volkswagen's new dawn in 2015; the Eos shared showroom space with the Golf Cabriolet from 2011-2015, and Beetle Cabriolet for the entire duration, and now all three open-top VWs have departed. As the most complex and luxurious of the three cars, the Eos had some internal competition in the form of the accomplished – but conventional – Audi A5 Cabriolet. It's unlikely that a successor to the Eos will appear, as VW are using production capacity for more crossovers and SUVs; perhaps a convertible T-Roc will reprise the role of all three open-air Volkswagens in due course. 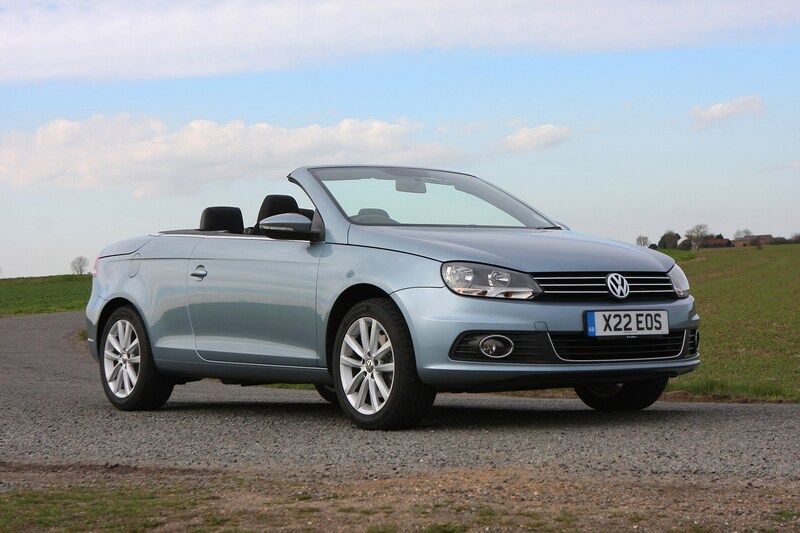 How much should I pay for a Volkswagen Eos? Our figures from the trade suggest an Eos could be yours for under £2,000 – very tempting, and if you just want it until the next big breakdown or MOT it'll be an amusing diversion. For a car of this type we'd recommend aiming a little higher than the bottom end though. £3,500 will get you into a clean, but performance-challenged 1.6; stretch to £4,500 and below average mileage, historied and clean 2.0 petrol and diesel models become abundant. Those prices may fall in winter, too, though the all-weather nature of the Eos dampens the summer surge for soft-tops. It's not a big stretch to go for the best, either – low mileage, well specified facelift 160hp models with the 1.4-litre petrol can be found for under £8,000; that's where we'd look if a long-term ownership is planned. Does the Honda Civic Tourer make a good used buy?